More Basic Sweater Photos Just In! 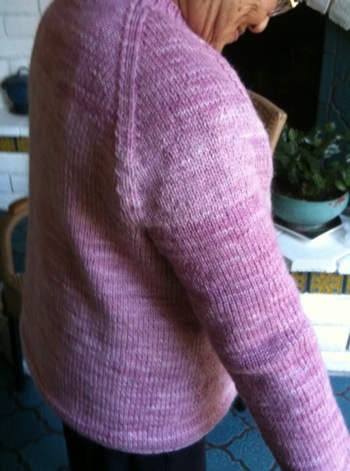 Thank you all for sharing photos of your finished and “in progress” sweaters! 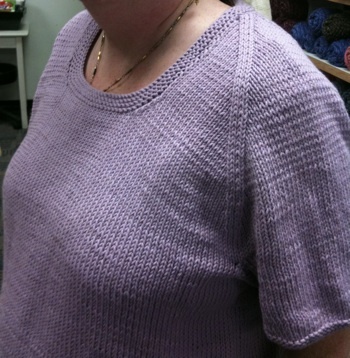 Lyn's first finished sweater! 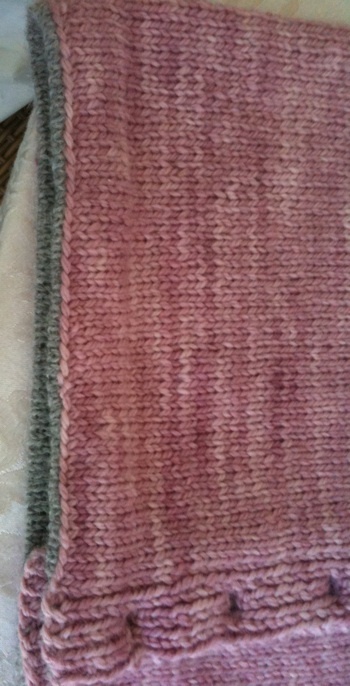 I love the garter stitch borders! 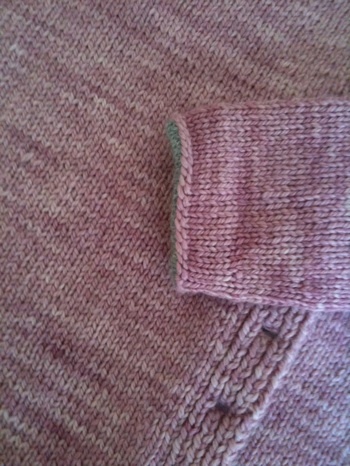 Sue designed her cardigan from the formula in Jackie Fee's book The Sweater Workshop. While I was admiring her work she said "this sweater was MADE for ME!" Love it! 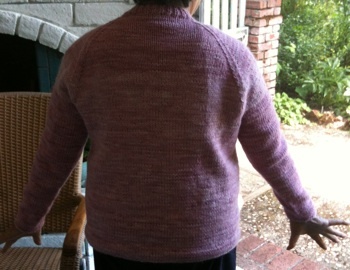 The back of Sue's wonderful cardigan. 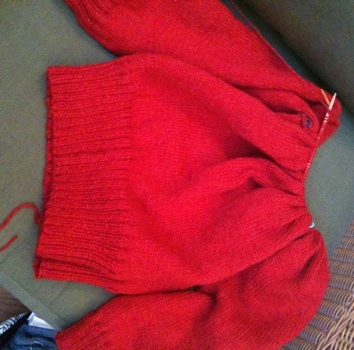 The front of Sue's cardigan - this sweater was knit from the bottom up, back and forth on circular needles. 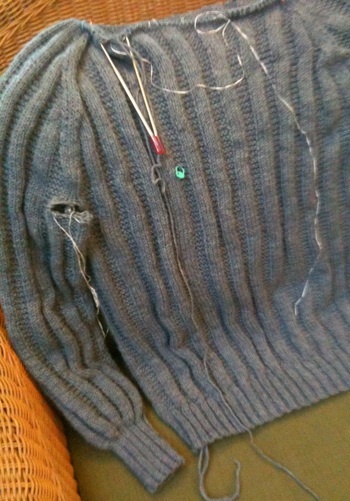 And the cardigan border was knit along the way. 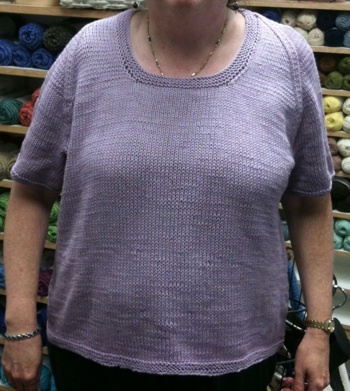 These next 3 photos show off the contrasting colored after-thought hem picked up and knit on the edge of the body and the cuffs! Brilliant! Tammy your work is really beautiful! 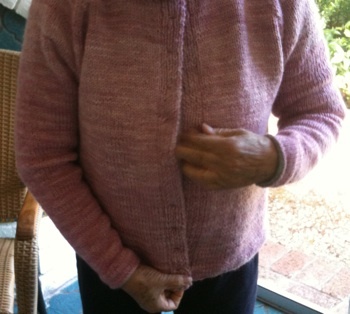 Update on Kathy's sweater - this photo does not give her work justice, very beautiful - I'm not sure I can envision her husband "not" wearing it all of the time! 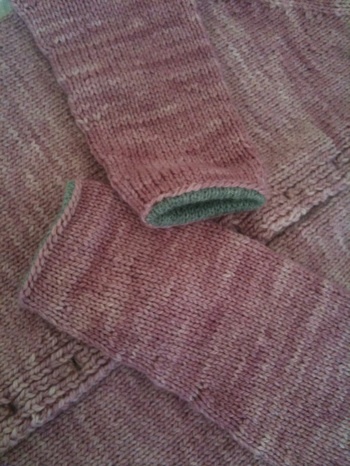 Thank you all, I have really enjoyed participating in your knitting adventures!